First of all; I would like to state that this is not a conventional blog. My purpose is to create a sort of an archive where one can access to all kinds of information about Leyla Gencer’s art which can be found separately in various websites. On the main page there’s a biography consisting of eight main chapters that I wrote including some information given to me by Leyla Gencer herself. And in the column on the right there’s a chapter containing information about Gencer’s opera performances, concerts and recitals that I gathered from various press and opera archives. The content of the mentioned column is based mainly on the biographical books of Franca Cella and Zeynep Oral; whereas I added the “cast lists” which I personally gathered from opera house archives and some websites. I’m certainly not hundred percent sure about the reliability of each data. I accessed too many articles about Gencer’s concerts in Turkey and abroad in the archive of Cumhuriyet newspaper; which I added to the blog. If you find out any inaccuracies in the blog or retain some more data about Leyla Gencer; I’d be delighted if you could share them with me. For instance; in the book “A story of passion”; Zeynep Oral wrote about Gencer’s performances of Luisa Miller and Manon Lescaut; but yet I was unable to find out at which opera houses or venues these operas were performed. Information that I’ve been searching is that as Leyla Gencer had told me herself, she had attended the rehearsals of Wagner’s Tannhauser but due to a strike at the opera house, the performances were canceled. I still haven’t found out the name of the mentioned opera house and the year in which the production was supposed to be realized. The lists containing Gencer’s recordings, press reviews, awards and the memorial ceremonies can also be found in the column on the right. I have attached the Youtube links of all her recordings under each opera title to which they are related. I have tried to do my best in mentioning the copyright owners of the photographs that I used from the internet; nevertheless it’s not been possible to name each photographer. I’d be delighted if anyone who has such information or claims that some photographs should be excluded from the blog because of copyrights could contact me. Sadly I haven’t been able to access to articles about Gencer published in the German, French and Italian press due to my limited knowledge in those languages. I’d again be delighted if you could share your knowledge regarding this necessity. I sincerely hope that this “Blog” will be improved by time and it will turn into a website in the future. The exact year of Leyla Gencer’s birth has always been a mystery. She was born in Istanbul. Based on various records; her year of birth might be 1918, 1924 or 1928. Being an Italian High School graduate, the artist started her vocal training at the Istanbul Municipal Conservatory. Subsequently she went to Ankara where she had the opportunity to study with the famous Italian soprano Giannina Arangi-Lombardi and Apollo Granforte. 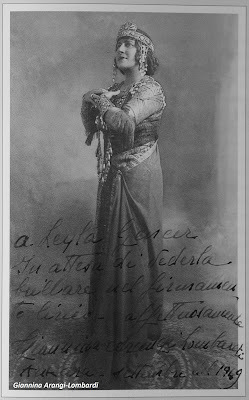 Being 20th century’s one of the most unique divas and having a major importance in the opera history, Leyla Gencer sang 71 operas at 66 different opera houses. Not only she was one of the most active artists of her time, she was also renowned for riviving long-neglected operas and making major contributions to today’s opera repertoire. Her interpretations so called “Gencerates” are appreciated even more today than they were at the time. During her career, except for a few roles, Gencer sang only the roles that she loved and wanted to sing which she always interpreted in her own way. There were two people whose art she trusted and respected; Tullio Serafin and Gianandrea Gavazzeni. On all occasions Gencer fulfilled the requests of these two great conductors of the Italian opera and executed them on the stage unconditionally. Gencer often had arguments with opera conductors and directors regarding her stage performances and was sidelined by many directors because of her attitude. During the rehearsals of her first production at La Scala in the opera Dialoghi delle Carmelitane, she had arguments with the director Margherita Wallmann and the composer Françis Poulenc. Such arguments might have led to the cancellation of the production but in the end she won. Although her Mozart interpretations were not fully appreciated by the critics in the 60’s, Gencer’s new approach to Mozart’s Italian operas are today considered among the best Mozart interpretations. And her “noble” way of interpreting Leonora in the opera Il Trovatore is considered one of the best Il Trovatore interpretations. Gencer differs from the sopranos who just sing on the stage. Besides her singing capacity, she also had the acting potential to fulfill the requirements of her roles. Thanks to the combination of her acting talent, voice and interpretation; Gencer achieved the acting singer title which had associated with Maria Callas in the 20th century. During her career, Gencer sang 71 different operas over 140 different opera houses in 236 different productions. She gave 126 recitals and and concerts and appeared on the stage approximately 900 times. The majority of these performances were of 15 operas which she sang very often. Gencer performed Macbeth 44 times, La Traviata 43 times, Aida 40 times, Norma 36 times, Madama Butterfly 39 times, Don Carlos 32 times, Le Nozze di Figaro 27 times, Tosca and Alceste 23 times Il Trovatore and La Gioconda 22 times, Lucrezia Borgia 21 times, Simon Boccanegra 20 times, You can see her performance details in Index. Unfortunately it’s not been possible to define the exact number of her performances since among all opera houses, La Scala was the only one to register the further dates of performances after the premieres. 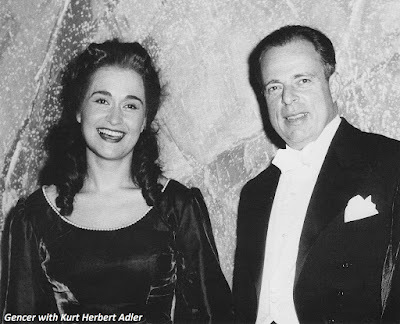 Gencer’s voyage with opera started in 1943 as she began participating concerts and radio programs. Her first orchestral concert was in Istanbul on May 9, 1947. It was the premiere of Cemal Reşit Rey’s stage cantata Özsoy where she sang the brief soprano part under the baton of the composer himself. 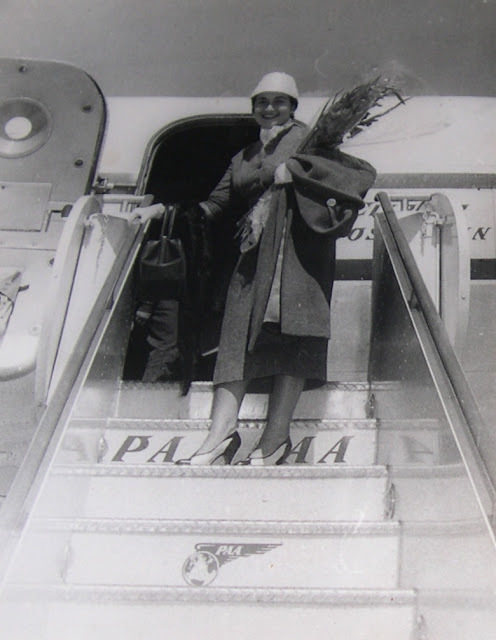 After leaving the Istanbul State Conservatory and going to Ankara, Gencer made her opera debut at Ankara State Opera in 1950 in Mascagni’s Cavalleria Rusticana. Gencer had her first experiences abroad by giving recitals on radios. She gave recitals in Holland (in 1948), on BBC Radio (in December 1951), on Radio-Diffusion Française (1951). Her first radio recital in Italy was in July 1953 at Rai-Roma. She was accompanied by pianist Giorgio Favoretto. In the same year she gave her first orchestral concert with Orchestra del Rai di Torino under the baton of Arturo Basile. She sang duets and arias from the operas Un ballo in maschera, Faust and La forza del destino with Agostino Lazzarini, one of the most significant tenors of that period. After her succesful performances as Santuzza in Cavalleria Rusticana at ten thousand-seat Arena Flegrea of Naples on the 16th and 19th of July 1953; Gencer caught the attention of the famous conductor Tullio Serafin. She was invited to perform Madama Butterfly and Eugene Onegin the following year at Teatro San Carlo - Naples in February and May of 1954. 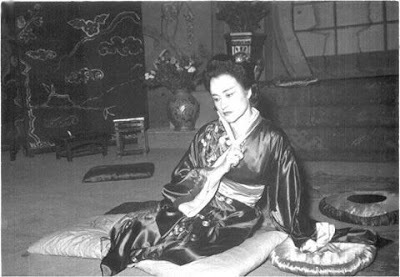 On February 11, 1954, Gencer performed in the 50th year anniversary production of Madam Butterfly under the baton of Gabriele Santini and subsequently on March 17 1954, she sang Tatiana in Eugene Onegin under the baton of Tullio Serafin. The recordings of these two operas are available on CDs. Until the year 1957 when she made her debut at Teatro alla Scala in Milan; Gencer sang Madam Butterfly (Torino, Napoli, Belgrad), Tosca (Munich, Lozan), La Traviata (Warsaw, Lodz, Poznan, Ankara, Reggio Emilia, Trieste, Palermo), Kerem ile Aslı (Ankara), Die Freischütz (Trieste) and The Consul (Ankara). In the same period she caught the public’s attention as Charlotte in the opera Werther which was broadcast in Rai television on April 23 1955. The recording is available on DVD. Gencer’s first major breakthrough beyond Europe was in San Francisco in September 1956. It was the production of Francesca da Rimini where she stepped in for Renata Tebaldi. Upon the invitation of Kurt Herbert Adler, Artistic Director of San Francisco Opera, she went to the USA and inaugurated San Francisco Opera House with this opera that she hadn’t studied and sang before. Although the opera, performed for the first time in San Fransisco, was found rather dull by the audience because of its static style, Gencer was highly acclaimed and she was invited to Los Angeles to sing the same role. In the same period Gencer’s negotiations with the Metropolitan Opera, North America’s biggest opera house, for the role of Tosca were in vain. Rudolf Bing, Metropolitan Opera’s Artistic Director of the time later mentioned in one of his speeches that he never forgave Gencer to have chosen the West Side for her American debut. 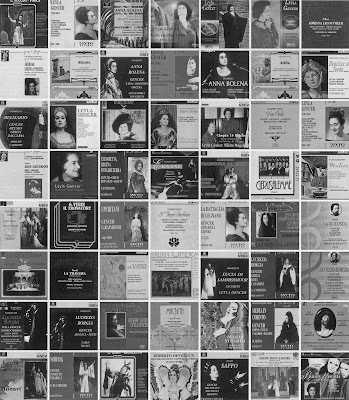 Between the years 1956 – 1978 Gencer sang La Traviata, Lucia di Lammermoor, Turandot, Don Carlos, Manon, Rigoletto, Lucrezia Borgia, Attila and La Giaconda mainly in San Francisco, Los Angeles, San Diego, Philadelphia, Pasadena, Sacramento, New Jersey, Dallas and Chicago. On April 15, 1973, she performed succesfully in the American premiere of Donizetti’s Caterina Cornaro at New York’s famed Carnegie Hall. Gencer’s last performance in the USA was in San Fransisco in the Gold Jubilee concert of the world-renowned conductor Kurt Herbert Adler. At the gala concert she sang the aria “Al dolce guidami .....Coppia iniqua.” from the opera Anna Bolena. Just like most significant artists of her time, Leyla Gencer visited South America and performed at Teatro Colon (Buenos Aires), the most important opera house of the region where she sang Rigoletto (1961), I Puritani (1961), Norma (1964) and Simon Boccanegra (1964). On July 3, 1964; Gencer was expected to inaugurate Rio de Janeiro Teatro Municipal Opera with Mario del Monaco in Otello but because of del Monaco’s health issues all his performances were cancelled. So she prepared Verdi’s La Traviata in a very short period of time and performed on the 7th of August for the first time in Rio. Jose Faro from the Opéra Magazine was present at the premiere of La Traviata in Rio and he described her performance with terms such as “near to disaster, overdosed pianissimos, unfortunate performance, non-existent breath control and audience voiced their displeasure after the first aria.” But the recording of that performance proves us the opposite. 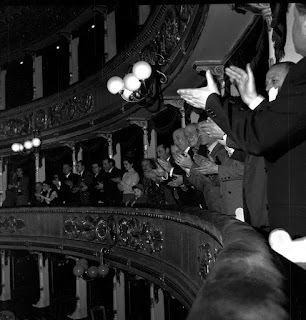 Gencer’s performance of the first aria in the first act Ah forse lui... Sempre libera was greeted with applause, her line Amami Alfredo in the first scene of the second act was greeted with applause and cheers whereas her performance of the aria Addio del passato received a very big round of applause by the audience in the last act. Although La Traviata was one of the operas that she sang very often, her performance in Rio is her only recording of the opera although one hour of performance is missing. After the success obtained in America, Gencer stepped into La Scala where she would later call “home”. 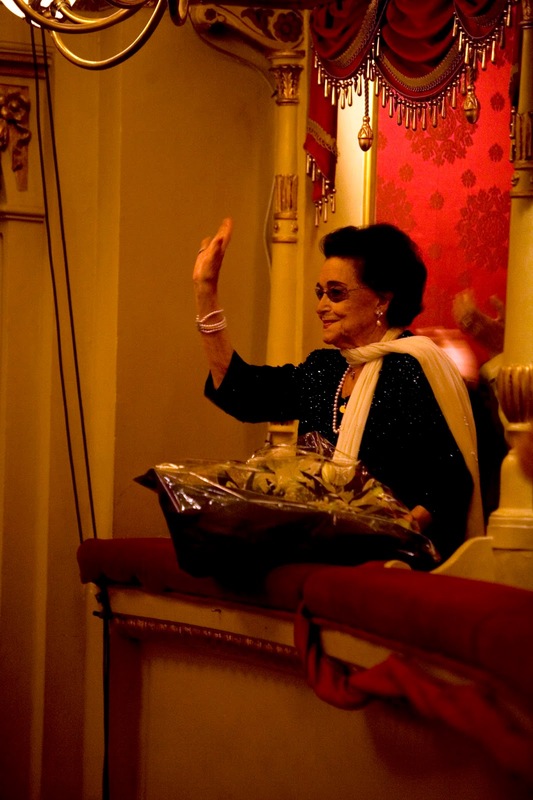 She worked at La Scala for more than 50 years. Gencer spent the first half of fifty years on the stage and later she worked continuously at “her” La Scala until May 10 2008, the date she passed away. Gencer’s debut at La Scala stage was on January 26, 1957. She sang in the world premiere of Poulenc’s Dialoghi delle Carmelitane. However she had been offered to sing Aida by Victor de Sabata, former artistic director of La Scala. Unfortunately, due to his health problems, De Sabata retired and the new opera management gave the role of Aida to the Italian soprano Antonietta Stella. Consequently, Gencer was asked to perform Dialoghi delle Carmelitane at La Scala even though she didn’t get along well with the composer and the stage director. Gencer’s first years at La Scala passed under the shadows of a myth such as Callas and of Italian artists such as Tebaldi and Stella. Having said “I’ll sing at La Scala otherwise I’ll never sing” Gencer unwillingly performed the contemporary opera only because it was at La Scala. Other than Dialoghi della Carmelitane, Gencer sang various contemporary operas such as Pizzeti’s L’Assassino nella Catedrale (Milan 1958) and Lo Straniero (Naples 1969), Prokofiev’s L’Ange de Feu (Spoleto, Trieste 1959), Britten’s Albert Herring (Milan 1979, Reggio Emilia, Modena, Ferrara 1980), Rocca’s Monte Ivnor (Naples 1956 – Rai 1957), Weinberger’s Schwanda (Rai 1958), Menotti’s The Council (Ankara 1954), d’Albert Tiefland (Ankara 1951). But as she declared in some interviews, she wasn’t very happy about singing them, yet she felt much happier singing operas of Verdi and Donizetti. 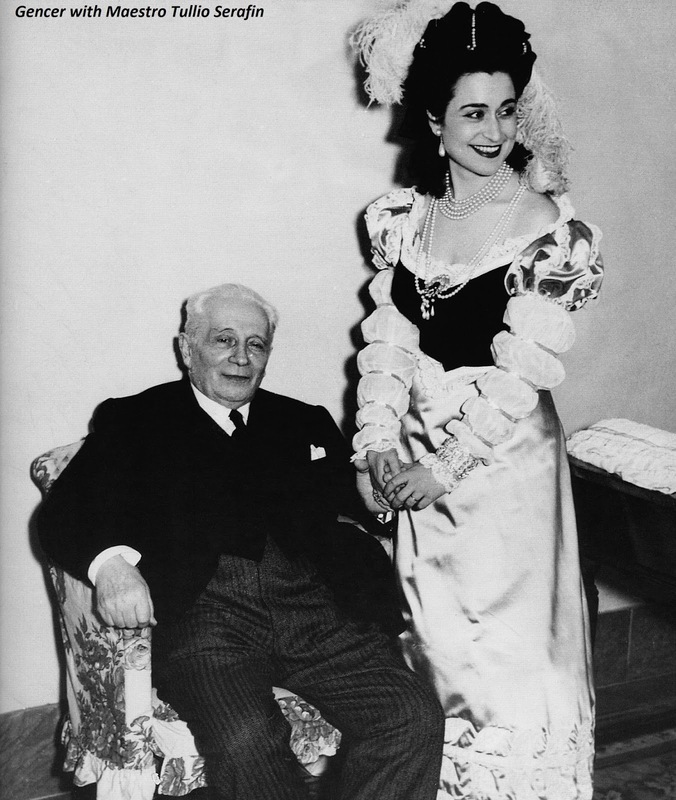 Despite her great desire to work with Arturo Toscanini Gencer never had the chance. However she sang “Libera me” in Verdi’s Messa da Requiem in the great conductor’s funeral service which took place at the Duomo Cathedral of Milan on February 18, 1957. She was accompanied by the Orchestra and Choir of La Scala and her successful performance was highly praised. Along with Giuseppe di Stefano, Gencer sang La forza del destino at Cologne Opera which was La Scala’s first tour to Germany after the war. Between the years of 1957 – 1980 she sang leading roles in Verdi's Don Carlos, La forza del destino, Aida, Macbeth, Simon Boccanegra, I Vespri Siciliani; Bellini's Norma; Donizetti's Poliuto, Lucrezia Borgia; Mozart's Idomeneo; Monteverdi's L'Incoronazione di Poppea; Gluck's Alceste; Tchaikovsky's Queen of Spades and Britten's Albert Herring at La Scala. She also sang the leading role in the world premiere of Pizzetti’s L'Assassinio nella Cattedrale at La Scala in 1958. 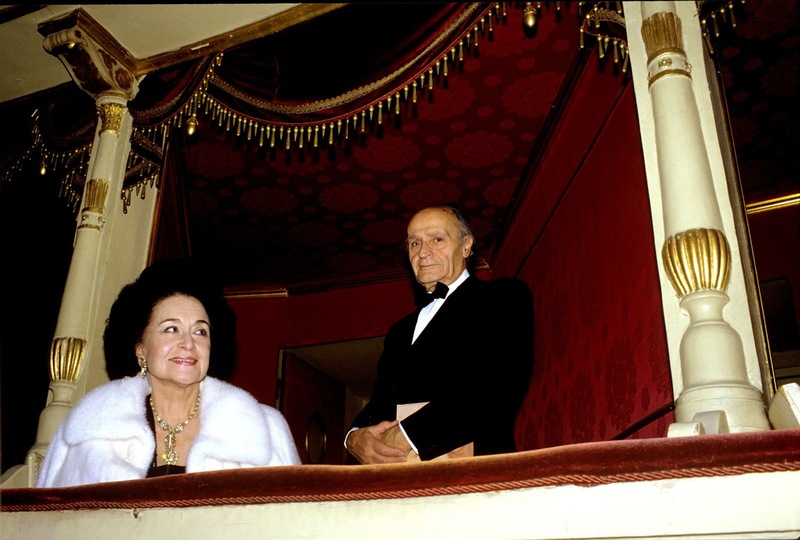 Gencer was the glorious primadonna of La Scala for over 25 years, an era during which legendary names such as Maria Callas, Renata Tebaldi, Monserrat Caballé, Joan Sutherland and Beverly Sills reigned in the opera world. About her extraordinary career, it would only be moderate to reiterate the words of Michel Parouty from Opéra Magazine: "She was the last diva of the 20th century, an embodiment of perfection. "Having achieved an international career in a very short time and performed with distinguished Italian maestros such as Vittorio Gui, Tullio Serafin, Gianandrea Gavazzeni and Riccardo Muti, Gencer's outstanding performances of Donizetti's forgotten operas inscribed her name in all opera books identifying the great soprano with the "Donizetti Renaissance." Primarily the “trend” of reviving neglected operas started in 1957 when Maria Callas had a sensational success at La Scala in Anna Bolena. In one of her interviews Gencer said that “It was a trend and I followed it”. However it was actually Gencer who succesfully carried on this trend. 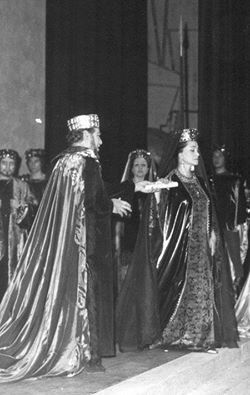 Callas “revived” Anna Bolena and Gencer introduced the opera to bigger audiences. 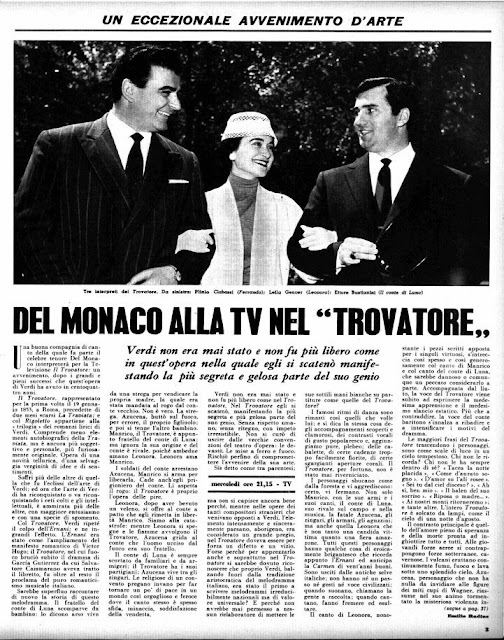 In 1958 right after Callas, Gencer sang on the Rai’s radio broadcast of the opera. In 1965 she performed the opera 12 nights at Glyndebourne Opera Festival. Gencer’s last performance of Anna Bolena was in Rome in 1977. In the era “Donizetti Renaissance” that began with Anna Bolena, Gencer also sang Donizetti’s other neglected operas such Maria Stuarda, Poliuto, Les Martyrs, Lucrezia Borgia, Belisario, Roberto Devereux, Caterina Cornaro and she proved to be the invincible queen of belcanto. Nevertheless the recordings of these operas were made by recording artists such as Montserrat Caballé, Beverly Sills and Joan Sutherland. Gencer’s career reached its climax in the 60’s. In this period she began to perform vocally challenging roles in operas such as Norma, Macbeth, I Puritani, Gerusalemme, Roberto Devereux, Lucrezia Borgia, Alceste, Maria Stuarda, Un ballo in maschera, Le nozze di Figaro, Beatrice di Tenda, Medea, Belisario, La Vestale, La Gioconda and I vespri Sicilianni. Talking about her major performances in Gencer’s career, one must say a few words about Macbeth. Being undoubtedly the most impressive Lady Macbeth after Callas, Gencer performed the opera succesfully in Palermo for the first time in 1960. She later sang the opera at La Scala, Venice, Florance, Rome, Cagliari, Treviso, Montova, Como, Livorno and Maggio Musicale di Fiorentino Festival under the baton of Riccardo Muti where she had an outstanding success. In fifty years time no such soprano has yet out outshone Gencer’s interpretation of Lady Macbeth. Unfortunately Gencer sang the opera only in Italy, European and American audiences didn’t have the chance to see her live performances of Lady Macbeth. One of the other most important operas of this period is Bellini’s masterpiece Norma. In 1962 Gencer sang the role for the first time in Barcelona and two years after she sang the opera in Buenos Aires. In the 1964-1965 seasons La Scala took a major risk and put both La Traviata and Norma in the program, the operas which were identified with Maria Callas. 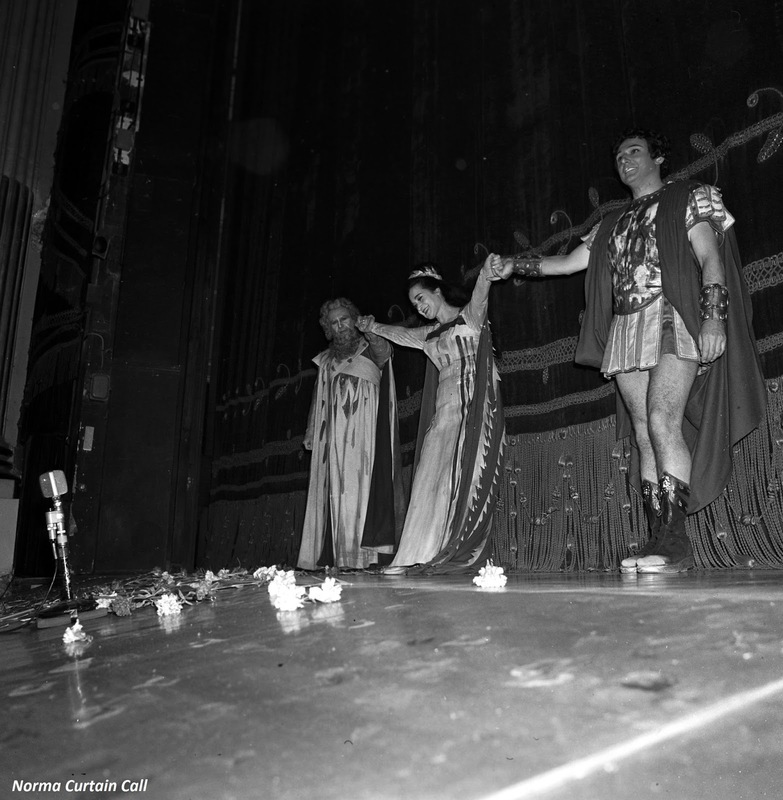 Karajan was scheduled to conduct La Traviata and Gavazzeni was scheduled to conduct Norma. Franco Zefirelli’s new production of La Traviata with soprano Mirella Freni premiered on December 17, 1964. It was a big failure and the artists were harshly booed. Consequently Callas fans reached their goal; Mirella Freni left the role after two performances and Anna Moffo who had taken over the role could sing only one night. After three performances, the production was removed from the opera calendar. Gencer’s mission in Norma was even harder to accomplish. She would appear in the Margherita Wallmann’s production in which Callas had sung in 1955. Besides, Giulietta Simionato would sing Adalgisa as she had sung ten years ago. Even the costumes would be the same. Briefly, every detail that would remind of Callas would be featured in the production. On the premiere date January 9, 1965; the only difference from the previous production would be Gencer. Callas fans were present in the lodges waiting for the performance to start. Gencer’s interpretation of the famous aria Casta Diva didn’t receive much applause but except for a few grumbling, it wasn’t even booed either. The premiere was being carried on succesfully. Even La Scala’s Management was surprised. Because of La Traviata’s big failure, a major protest was expected that night. When the opera ended, the audience gave a huge round of applause. Gencer succesfully passed the test and sang Norma in January and Fabruary; 9 nights as planned and she became one of the very few sopranos who sang Norma at La Scala. In the 60’s Gencer continued exploring the unknown. This time she sang Verdi’s neglected opera Gerusalemme in Italy and Germany. Not only it was Gencer’s, it was also Donizetti’s golden era. Some of his operas were performed for the first time and revived by Gencer. On May 2, 1964; Donizetti’s neglected opera Roberto Devereux was performed in Naples after a long period of time. Gencer sang the role of Elizabeth and won the heart of the tough Neapolitan audience with her usual enchanting interpretation, especially with the final aria Quel sangue versato. The audience gave her a standing ovation for several minutes. Probably Lucrezia Borgia was Gencer’s most favoured and succesful Donizetti performance. Gencer sang the opera for the first time in 1966 in Naples. Later she sang the opera in Rome (1967), Milan-La Scala (1970), Bergamo (1971), Dallas (1974) and Florence (1979). Once again she introduced another neglected opera to the opera audience. The recordings of this opera were also made by Monserrat Caballé and Beverly Sills. 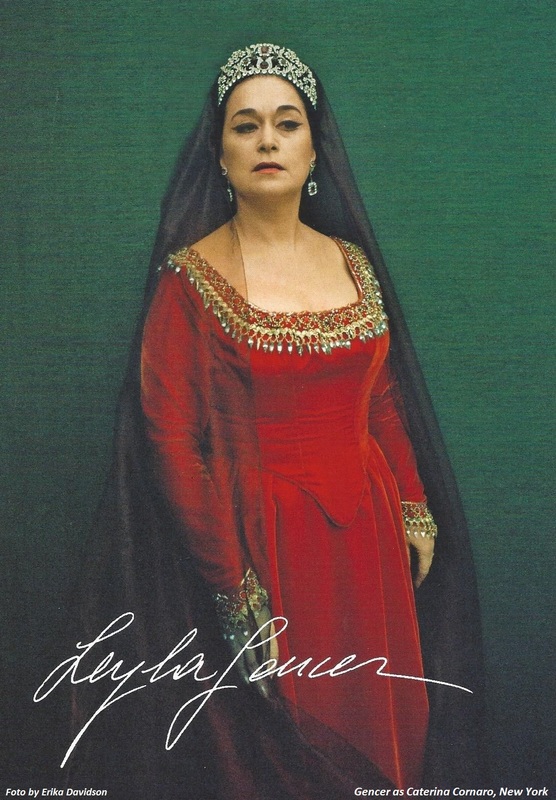 After her success as Lucrezia; Gencer achieved a sensational success on May 2, 1967; in the opening night of Maggio Musicale di Fiorentino Festival with her performance in Maria Stuarda. The famous line Figlia impura di Bolena had a shocking impact on the audience and yet the audience gave her a standing ovation in the final of the second act. After the succesful performances of Maria Stuarda, another unknown opera was once again in Gencer’s agenda; Donizetti’s Belisario. It was a rarely performed opera which takes place in Byzantium. Gencer sang the role of Antonina and achieved another major succes. Her interpretation of the aria Egli è spento in Venice is considered to be one of her best performances. Leyla Gencer was asked only twice to record for major recording companies. Both offers came directly from the famous conductor Tullio Serafin. He was planning to make two opera recordings (La Traviata and Simon Boccanegra) for two major recording companies. At first Serafin was planning to work with Maria Callas in La Traviata but since she had recorded the same opera in 1953 for Cetra label, according to her contract she didn’t have the right to record it for another label. 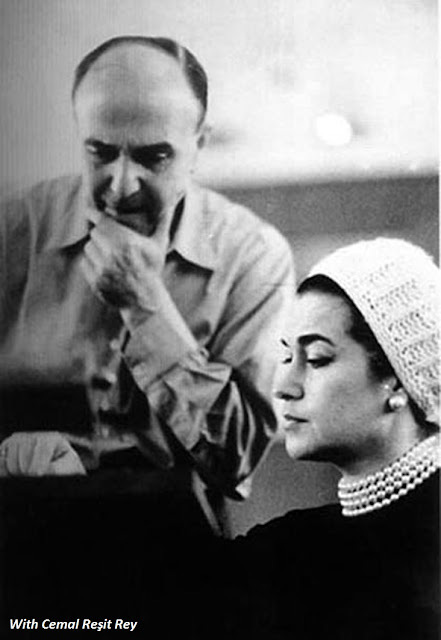 Knowing Gencer’s success as Violetta, Serafin wanted to collaborate with Gencer but according to her, both offers were prevented by Callas. In the end Serafin recorded La Traviata with Anonietta Stella for the label Emi in 1959. Gencer may not be considered one of the recording artists but today her numerous (over 150) opera, concert and recital recordings are available in the music markets on LPs, CDs and DVDs. Such high number of recordings gave her the title of “Queen of Pirates”. Here’s a list of her recordings: Macbeth (12 recordings), Lucrezia Borgia (10 recordings), Norma (8 recordings), La Gioconda, Aida, La Forzadel destino (6 recordings), Anna Bolena, Belisario, Simon Boccanegra (5 recordings), Maria Stuarda, Le Martyrs, Alceste, Don Carlo, Don Giovanni, La Battaglia di Legnano, Ernani (4 recordings), Un ballo in maschera, Rigoletto, Gerusalemme, Il trovatore, I vespri Siciliani, Agnese di Hohenstaufen, Elizabetta Regina d’Inghilterra, Medea in Corinto, Caterina Cornaro, Medea, I Puritani (3 recordings), I due Foscari, Attila, Tosca, Les dialogue des Carmelites, Idomeneo, L’Incoronazione di Poppea, Werther, Cavalleria Rusticana, La prova di un’Opera seria, Roberto Devereux, Lucia di Lammermoor, Francesca da Rimini, La Vestal (2 recordings) and single recordings of La Traviata, Pikovaya Dama, Yevgeny Onyegin, La Falena, Guillaume Tell, Monte Ivnor, Turandot, Suor Angelica, madama Butterfly, Il Tabarro, L’ange de feu, Lo Straniero, Lassasinio nella Catedrale, Saffo, Adriana Lecouvreur, Albert Herring, Beatrice di Tenda. Gencer’s recordings of Verdi’s Messa da Requiem, Rossini’s Stabat Mater and Donizetti’s Requiem per Bellini and the recordings of her recitals and concerts, famous for their highly distinguished programs; (1956, 1974 and 1976 in Torino, in 1975 and 1979-Venice, 1975-Spoleto, 1976- Trieste, 1958 and 1978-Milan, 1979-Treviso, 1980, 1981 and 1985-Paris, 1981-Palermo and 1984-Naples) are available on CDs. Her Masterclass Scuola della Regine about Donizetti Queens (Anna Bolena, Maria Stuarda ve Roberto Devereux) which she gave for Rai television in 1982 is also available on DVD. Only a very few of these recordings were made at studios. The majority of them so called “pirate recordings” were made under bad circumstances at opera houses where the artists didn’t receive any copyright fees. Rumour has it that, there are many recordings of Gencer such as Manon (1958 San Francisco), Rigoletto (1958 San Francisco/Los Angeles), Lucia di Lammermoor (1957 San Francisco/Los Angeles), Aida (1963, 1966 La Scala Milan), Les Contes d’Hoffmann (1957 Palermo), Mefistofele (1958 La Scala Milan), Tosca (1961 Vienna), La Traviata (1957 Vienna/San Francisco/Los Angeles/San Diego/Sacramento, 1958 Philadelphia), Francesca da Rimini (1956 San Francisco/Los Angeles), Otello (1962 Genova) and La Sonnambula (1959 Naples) which are still hidden in archives. The role of Elsa in Tannhauser is also in Gencer’s repertoire but due to a strike at the opera house, the performances were postponed to further dates on which Gencer had other opera engagements. Consequently she couldn’t sing the role. BBC Television also broadcast her Glyndebourne Figaro on 29 August 1963. Depite her decleration of “British and American ciritics never liked me”, England’s biggest opera festival Glyndebourne released the recording of Mozart’s Le Nozze di Figaro of 1963 through its own record label. Gencer’s brilliant Contessa performance is worth listening. Again through its own recording label, Covent Garden Opera of London released the recording of the mythical Don Giovanni production conducted by Georg Solti and directed by Franco Zeffirelli in which Gencer sang Donna Anna. Speaking of Mozart, one must mention Idomeneo premiered at La Scala in 1968. Gencer’s performance under the baton of Wolfgang Sawallisch was undoubtedly one of Gencer’s most powerful Mozart interpretations. Gencer’s interpretation of the role Elettra in the Italian style received the best reviews from Italian opera critics. This performance can be found in La Scala’s 1968 recording. Among Gencer’s recordings there are also DVDs in black and white. Verdi’s Il Trovatore in which she sang with legendary tenor Mario del Monaco is a masterpiece. And two DVDs of Verdi’s Aida recorded in 1963 and 1966 at Arena di Verona are some of Gencer’s best performances. Her interpretation of Donna Elvira in Don Giovanni DVD which was recorded for Rai TV in 1960 is absolutely remarkable. Despite her great success as Charlotte, Werther was unfortunately performed in Italian as it was very common at that time, but this recording didn’t become popular because of today’s opera standarts. Giorgio Corapi: Her biography is full of unresolved contradictions and many blanks purposely left unfilled, which in its vagueness seems destined to become a myth. Giornale d’Italia (Palermo La Traviata): Young Turkish soprano Leyla Gencer has an outstanding voice and a very powerful breathing technique. She interpreted La Traviata perfectly in accordance with Italian tradition. Sicilia del Popolo (Palermo La Traviata): Leyla Gencer is not only Turkey’s but also the Europe’s best soprano. Il Piccolo (Napoli Recital): Accompanied by pianist Vincenzo Scalera, Gencer who is always in search of the most original and rich content was extremely brilliant and succesful in her concert. San Francisco News (San Francisco Don Carlos): She represented Queen Elizabeth in all her splendor. Call Bulletin Magazine (San Francisco Don Carlos): A rare beauty on the stage, a rich voice and perfect pianissimos. San Francisco Chronicle (San Francisco Don Carlos): She interpreted the Spanish queen perfectly through her perfect vocal technique and great musical approach. Oakland Tribune (San Francisco La Traviata): To describe Gencer we can use the adjective “one of the most convincing and suitable Violettas that have sang on our stage”. La Traviata is absolutely Gencer’s opera from the beginning until the end. Il Mattino (Naples Madama Butterfly): To sing the role Cio-Cio-San, San Carlo management made the best choice in inviting Leyla Gencer, who was the revelation of last season’s “Cavalleria Rusticana”. Thanks to her her artistic sensibility and her noble interpretation, Gencer has been a remarkable Butterfly. With her unique style the young yet famous soprano conquered the audience. After a big round of applause, Leyla Gencer sang again the famous aria. Sunday Telegraph (Glyndebourne Anna Bolena): Glyndebourne has succeeded in riviving this opera and undoubtedly Leyla Gencer deserves the most credit among all the artists. Observer (GlyndebourneAnna Bolena): After a rather shy entrance, Leyla Gencer interpreted a long memorable character with her mastery in her voice and acting. Opéra Magazine (Venice Macbeth): Leyla Gencer who is Lady Macbeth, the best Lady Macbeth Verdi could have wished for. Opéra Magazine (Arena di Verona Un ballo in maschera): Gencer’s interpretation of Amelia's role was first-class. Along with reviews such as “brilliant, perfect, extraordinary” Gencer also received negative reviews such as “a complete disaster, wrong casting, not her role” regarding her interpretations. Yet she didn’t take them seriously. Gencer explains: "When you sing, you have to feel what you are saying.... I actually cried on stage. Once in a while a note would issue forth that was not orthodox. That's why the American critics don't like me. But I don't care. They want a music with water and soap." An anecdote from NY Times: ............ If a music critic’s passions run high, the passions of his readers can run higher still, as Mr. Porter learned — vicariously — after an incident in Milan. The scene was La Scala, and the time was not long after he had written a review criticizing the Turkish soprano Leyla Gencer, whom opera fans around the world revered with a proprietary zeal. In La Scala’s lobby that night was a man who had the spectacular misfortune to resemble Mr. Porter. As the real Mr. Porter recounted in the Opera News interview, a crowd of operagoers seized the man, threw him to the floor and, shouting, “How could you say what you said about our Leyla Gencer!,” commenced kicking him. Leyla Gencer bid her farewell to the opera scene in 1985 with her performance of Francesco Gnecco's La Prova di un'Opera Seria at La Fenice Theatre, though she continued singing at concerts and recitals until 1992. 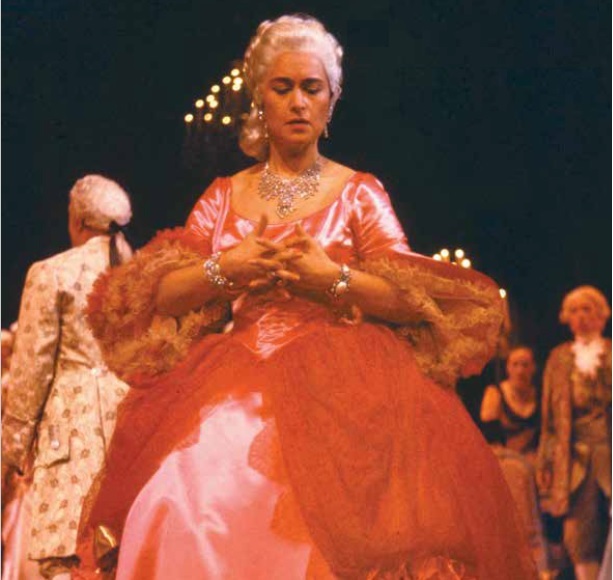 From 1982 on, Leyla Gencer dedicated herself to the education of young opera artists. She worked as the Didactic Artistic Director of As.Li.Co. of Milan between 1983-88 and was appointed by Maestro Riccardo Muti to run La Scala's School for Young Artists (Academia Teatro alla Scala) between 1997-98. Until her passing in 2008, Gencer was the Artistic Director of the academy for opera artists in Teatro alla Scala, where she was also teaching opera interpretation. She also served as the president of Istanbul Foundation for Culture and Arts' board of trustees. Leyla Gencer achieved her remarkable presence in the opera world not only by the variety of her repertoire, but also with the dramatic nuances that she attributed to the roles she performed. A dedicated researcher and teacher, she reintroduced many forgotten works of the romantic period to the opera stages. During her activity at As.Li.Co. and La Scala, Gencer contiuned searching for the unkown. Vivaldi’s opera Il Giustino was revived after so many years thanks to her researches. At La Scala Academy she worked on neglected or lesser staged operas and trained many singers. Being the president of the of Istanbul Foundation for Culture and Arts' board of trustees, Gencer worked as the consultant and coordinator of two opera productions realized in Istanbul Music Festival. One of them was Bertoni’s Orfeo (1997) conducted by Claudio Schimone and directed by Pier Luigi Pizzi. The second opera was Vivaldi’s long neglected opera Bajazet (1999) conducted by Fabio Biondi and once again directed by Pier Luigi Pizzi at Hagia Eirene Museum- a Byzantine church from the 5th century. During her career Gencer gave many seminars. Some of them are: 1976 Gerssan, Aosta- Seminar on Il Trovatore, Venice- Seminar on Donizetti, 1982 Trieste- Donizetti Seminar, 1985 Montpellier Singing Academy- Seminar on Rossini, Bellini and Donizetti, 1985 Savona-Donizetti Conference, 1987 Teatro La Fenice Venice- Seminar on Italian Opera, 1989 Istanbul -Seminar on Donizetti, 1989 Arenzano-Seminar on Donizetti, 1990 Istanbul -Seminar on Rossini.